I believe all kids grown up with the Disney's production, so do I! 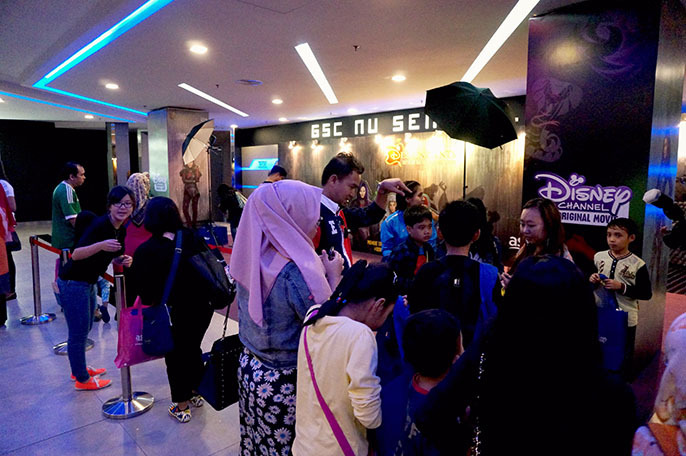 There are so many Disney's production which can easily remind us of our childhood memories such as Cinderella, Snow White, Sleeping Beauty, Beauty and the Beast etc. It is good that Disney convey our childhood cartoons into actual dramas whereby we can continue watching them no matter what age we are. 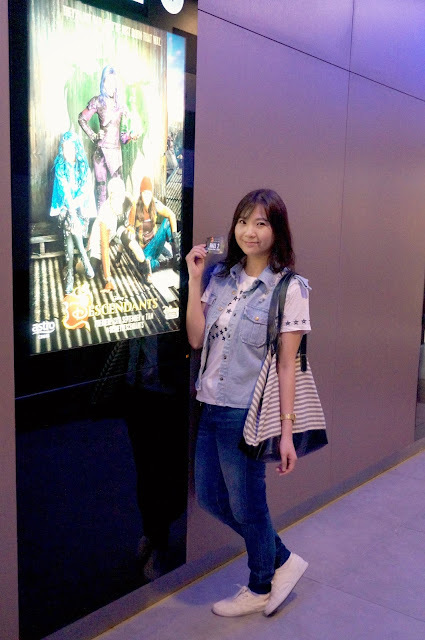 It was such a great honor to be invited to join the exclusive screening of the new comedy-drama from Disney on last weekend. 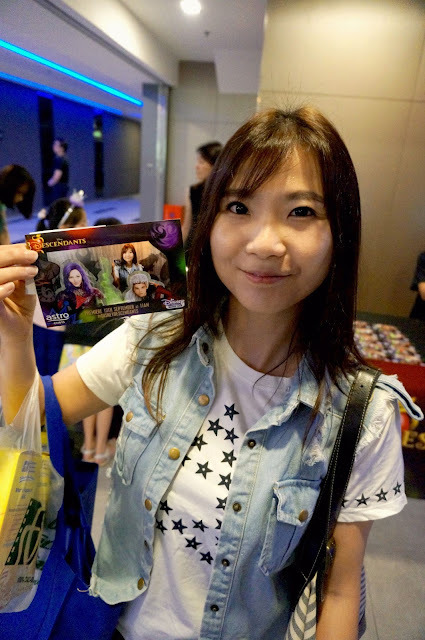 The event held at the brand new GSC at Nu Sentral. Many thanks to Jessica and Janet from In-Deed Communication for the invitation to this special event. The whole event was happening with all kids around. 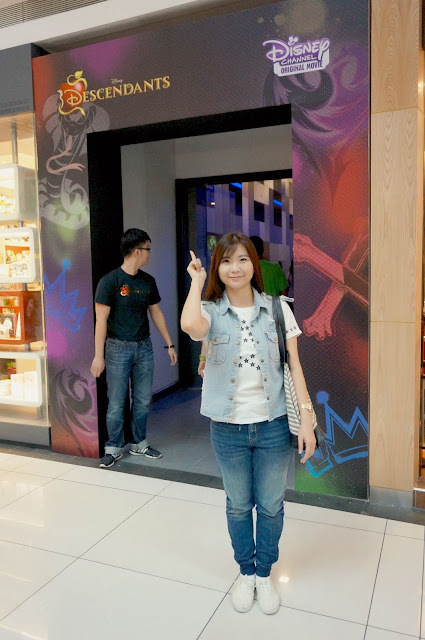 There were some fun activities for kids including competition of dressing the best Disney's outfit, and also photo-taking at the prepared photo booth. Here's my printed copy from the printing booth for my collection. Have you ever wondered what would happen if the Disney's characters that we seen on the screen had their children one day? I believe it would be surprised to meet their prince and princess if they had one right? 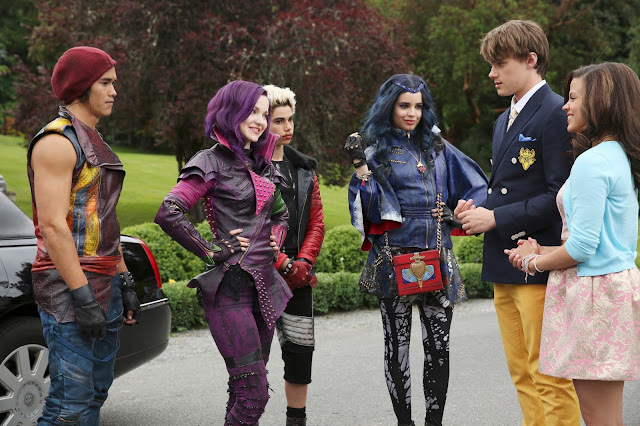 Well, Descendants is what the next big hit from Disney's after the "High School Musical"! 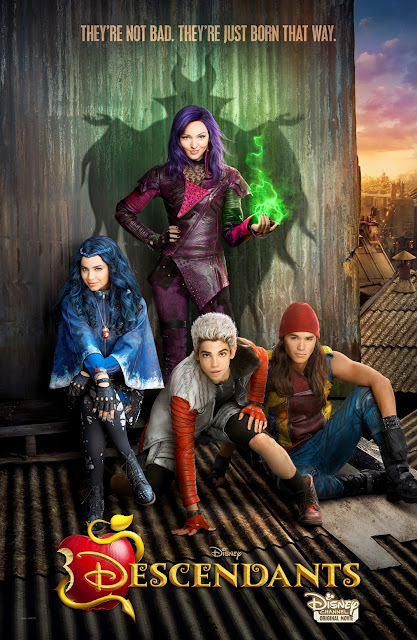 Descendant's is a story about the next generations of the Disney's villains who have been banished from the idyllic kingdom of Auradon and live on the remote island for the last 20 years. They forced to spend their remaining days with their kids away from the Auradon's modern-day luxury. One day, before Prince Ben (Mitchell Hope), the son of the King and Queen from "Beauty and the Beast" is poisoned to take the throne, his first proclamation is offers a chance at redemption to the descendants of the villains. 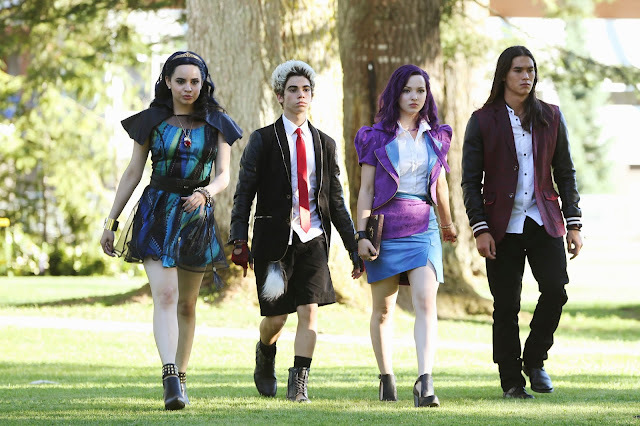 He allows the four trouble makers of Mal (Dove Cameron) daughter of "Maleficen", Evie (Sofia Carson) offspring of "Evil Queen", Carlos (Cameron Boyce) son of "Cruella de Vil", and Jay (Booboo Stewart) son of "Jafar", who have been imprisoned on the forbidden Isle back to the Auradon's kingdom. Prince Ben thinks the villains' children are innocent and would want to give an opportunity to the four trouble makers to prove that they will not follow in the footsteps of their wicked parents. So, he allows them return to the Auradon kingdom and attend the prep school with the other teenagers of Fairy Godmother, Cinderella, Sleeping Beauty, and Mulan. Things have achieved as what the Prince Ben wishes after these evil kids meet up with the kids of goodness. They have found their self-confidence, beauty within, freedom of choice, personal responsibility, teamwork, justice and empathy at the end. Descendants is written by Josann McGibbon and Sara Parriott from "The Starter Wife" and "Desperate Housewives". And it is directed by the Emmy Award-winning director and choreographer, Kenny Ortega from the "High School Musical". 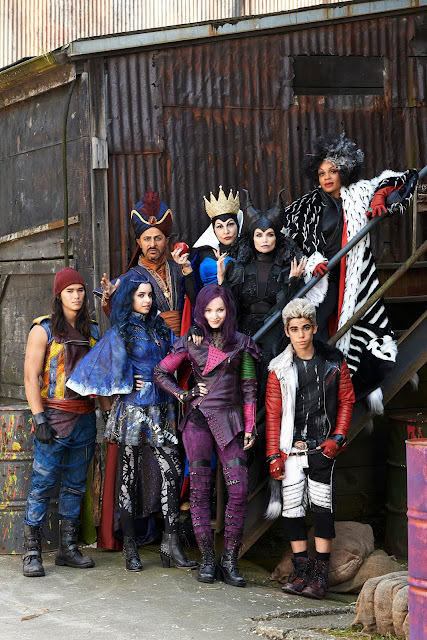 Disney's Descendant is like High School Musical meets Once Upon a Time, where the drama is a contemporary live-action adventure comedy with exciting music and performance. 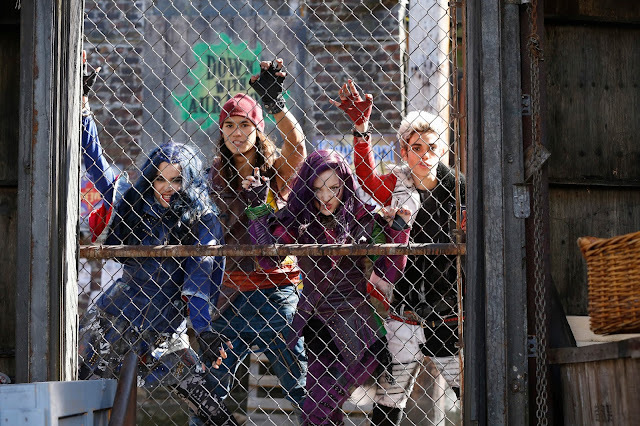 Descendants premieres will be aired on this Sunday, 13 September 2015 at 11am on Disney Channel @ Astro Ch 615. Block off this date and time on your calendar! 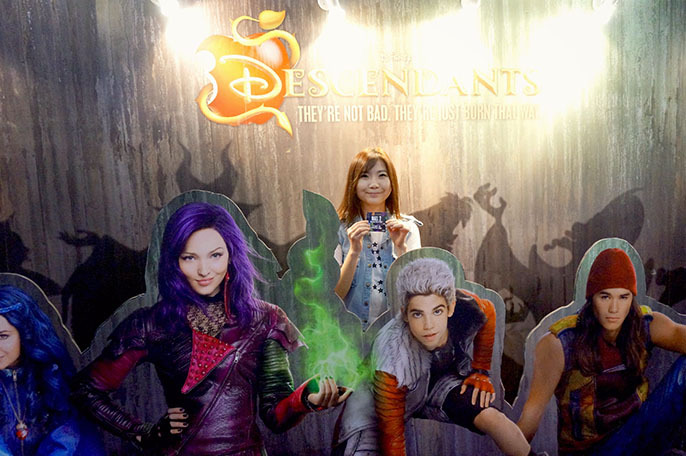 For more information, you can check out Descendants YouTube Channel. You can also watch the official trailer on my post now!